I didn't get a very good picture of this one, but I had already mailed it by the time I figured that out. :) One of my friends, Fran, is a knitter and also a weekend coffee buddy, so I thought this image from Power Poppy was perfect for her. I was a little intimidated by it, but I think I did okay coloring it. She send me a text yesterday that she loved it and her husband wanted to frame it, so that was nice to hear. Laila and I went to the part yesterday and I did some cleaning, so no new cards so far this week. I was worn out and went to bed early yesterday. 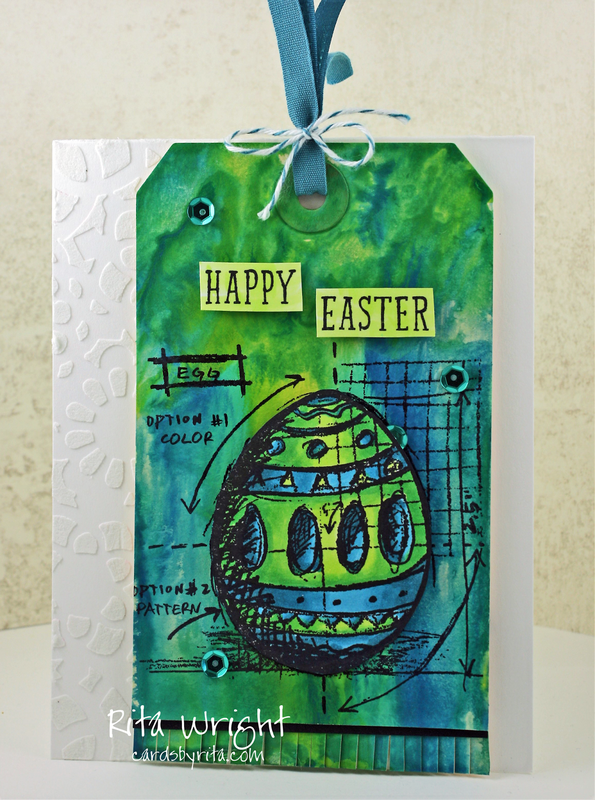 I did get my new card kit from Simon Says Stamp, so I'm hoping to ink up that tonight. 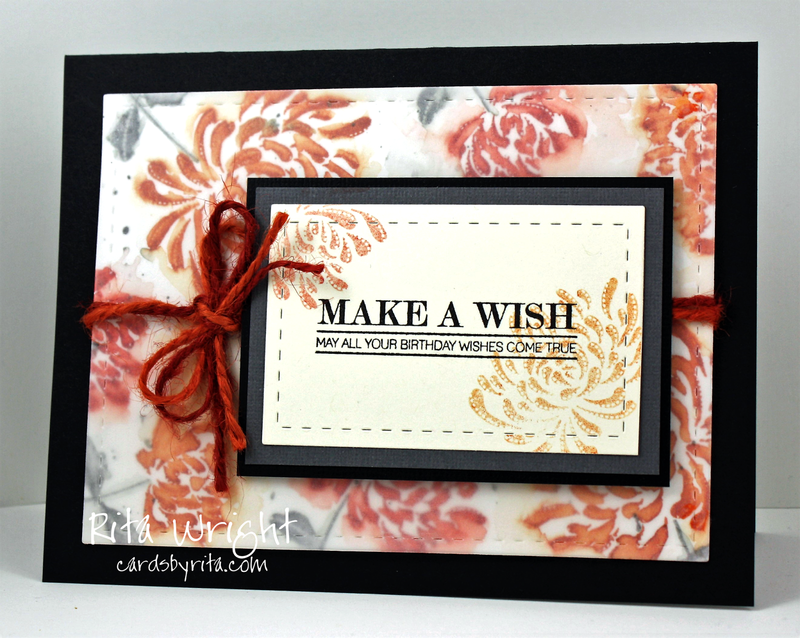 One of my goals for the year is to finish up three of the classes from Online Card Classes that I've signed up for. 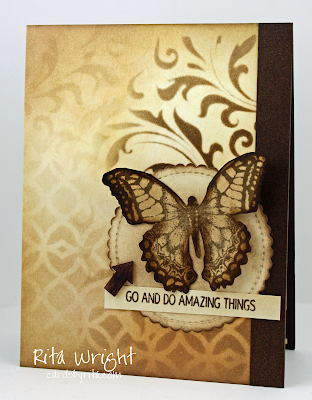 I thought I'd work on the Tim Holtz Creative Chemistry 102 a bit this week. Again, EASTER! lol I had never inked up this particular stamp, so why not? I used Distress Paint for the background. I tried to match my Copics with the same colors when I did the egg. I think I got pretty close. 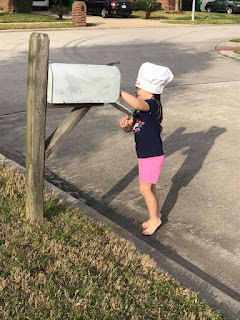 :) I'm entering it in the Simon Says Stamp Wednesday Challenge. I'll try to get back to adding supply lists when I have time. Hopefully that will help with some of the questions I get and have no way to reply to the person asking. 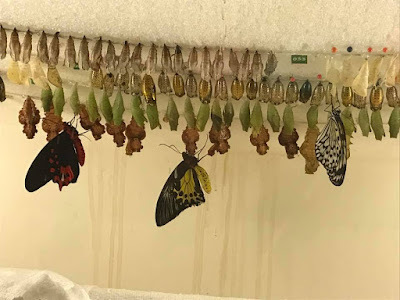 The butterfly center had an amazing display where you could watch as they came out of their pupa. It was the coolest thing! We've watched them in our backyard, but only 1 or 2 at a time. They had so many! It's just a really cool place. Happy Friday! It's beautiful weather here in Texas. It's been a bit warm this week, but that's Texas for you. 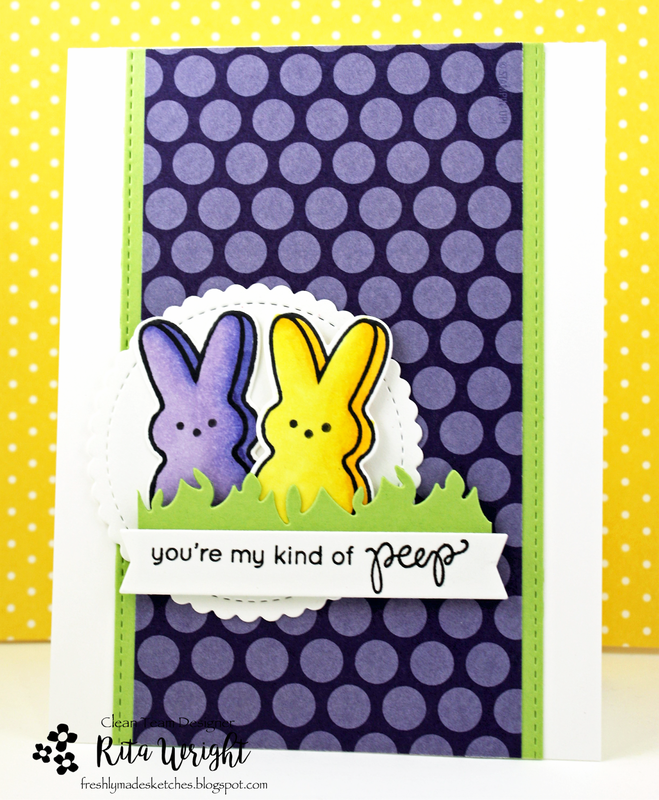 :) For some reason, I keep thinking Easter is next month, so I made another Easter card yesterday. 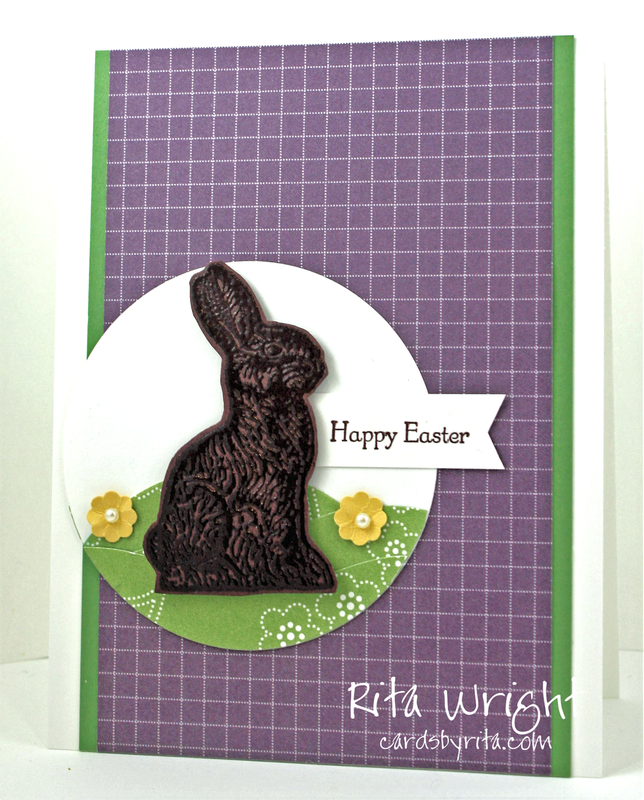 I found my cute chocolate bunny stamp and felt like inking him up. I wanted to try making up some card kits to sell on Ebay, so this may be the first one I try. We'll see. Sometimes selling and shipping is difficult with Miss Laila. Don't you love the Perfect Plum and Wild Wasabi together? I haven't been a big fan of the plum even though purple is my favorite color. Not sure why, but I do love Elegant Eggplant and Concord Crush. 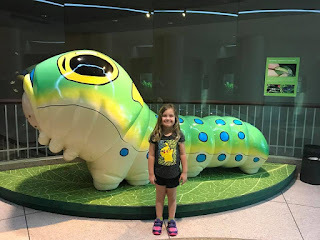 Yesterday we ventured out to the Houston Museum of Natural Science. It was so crowded with kids on field trips, so it was a little stressful. 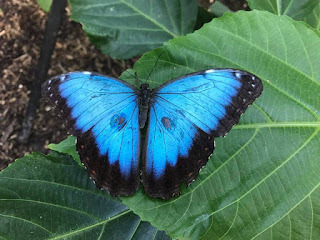 We did find a sanctuary in the butterfly center though. It was nice and quite, not crowded, and there were butterflies everywhere! They have to look you over before you leave to make sure you don't have any on you. It was just amazing. Laila loved it and so did I. I didn't take my good camera, but I sure will next time! I seem to be making a mess in my room more than cards lately, but I did mange to put together a card for Freshly Made Sketches. 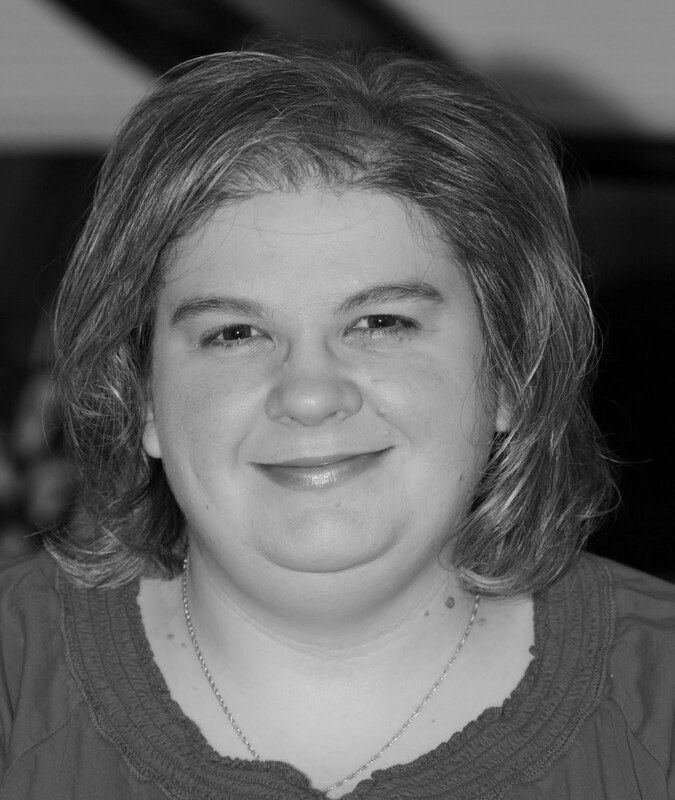 The very talented Amy is our hostess this week.. The team put togetther a wide range of styles and ideas, so I look forward to seeing the gallery this week. I'm worn out, so Amazon Video and Hannibal are calling my name. I'm scheduling this and heading to bed. 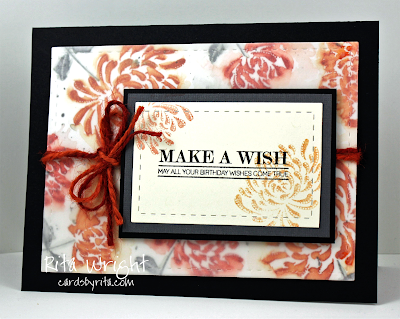 One more card to share for the Papertrey Ink Celebrating the Past, Present, and Future event. I actually had a set from the 2012 day, Hello Sunshine! I love sunshine (well, as long as it's not over 75 outside) and love stamps that feature it. 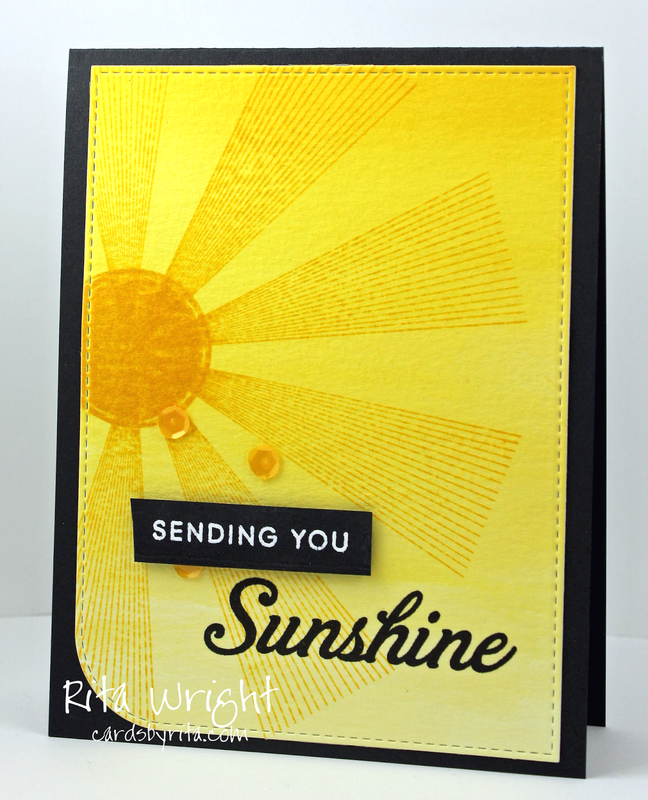 I did a wash with Daffodil Delight and Crushed Curry and then used Crushed Curry to make the sun and rays. 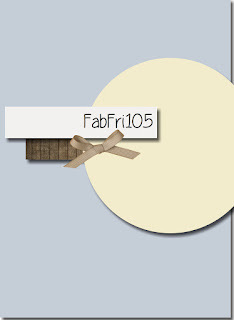 It's a fun and cheery card and I can't wait to mail it out. I hope everyone had a good weekend. We didn't do much. Jason had to mow yesterday and I felt bad most of the day. The pollen is just awful already. I seem to have a lot of days that start with a headache that doesn't go away. Yesterday's was bad, so I was lazy. Now I have a lot of clothes to fold. Ugh. Folding clothes and emptying the dishwasher are my most dreaded chores. It's also bathroom day, so man! So much fun, right? lol It's raining, so I guess there's not much else to do anyway. Hopefully you can see the inspiration. Now I have to go clean my desk AGAIN. I'm the messiest crafter! Isn't that die awesome? I thought about my mom when I saw it, so I had to get it. I am going to save this card for her birthday in April. I think she will like it. It's so fun to find stamps and dies that remind you of people you make cards and projects for. 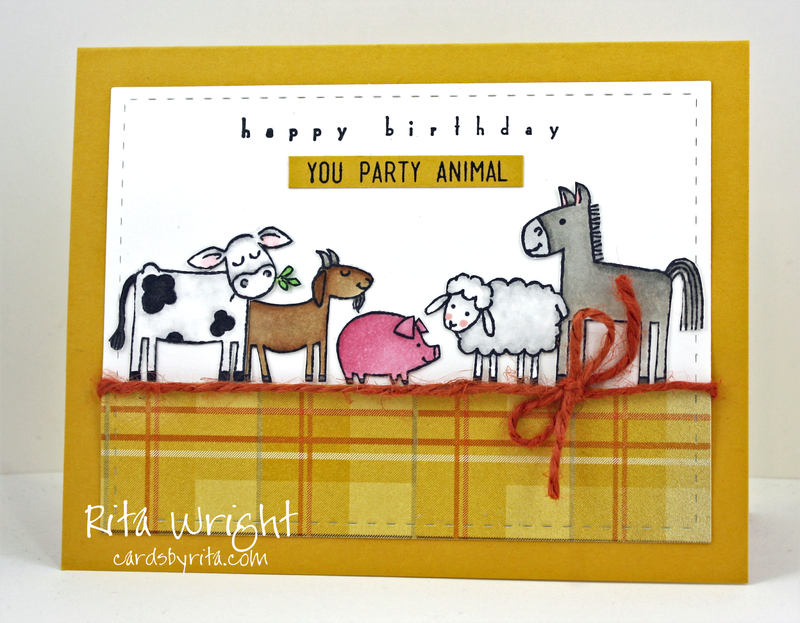 Barnyard Babies is an adorable set from Stampn' Up! that I just loved when I saw it. Now once I got it, I was clueless! After reading Animal Farm this week, I was inspired to pull it out and try to make something. My little animals are way cuter than some of them in the book. :) This wasn't a challenge card or anything like that, just playing around. It's nice to do that sometimes. Now I'm off to rest. I volunteered early this morning and it was a lot of lifting and moving boxes, so I'm worn out. I did sneak in a nap this afternoon, so I should get a few episodes of my current Netflix show in. Have you guys watched American Crime Story: The People v. O.J. Simpson? I'm a true crime junkie, so I was excited when it was one of the new shows they added in February. I don't know if I've mentioned it, but I acutally have a master's degree in forensic science. I've always been interested in it, but I do wish I had went the criminilogy route instead of the science one. I don't handle the sight of blood very well and get light-headed when I see it. That's probably a good thing to know before you pick a career. Oops! Labels: Barnyard Babies, Stampin' Up! Now I'm off to clean up my desk. I made a huge mess making this one. I changed my mind a million times on various things, so my desk is a pile of maybe, maybe nots. :) Have a great end to the week! Happy Discounted Chocolate Day! 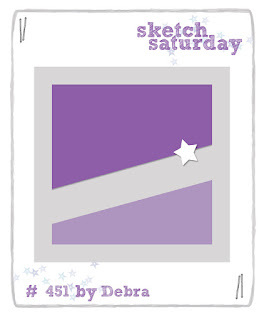 :) I managed to get myself together this week to play along with my amazing ladies at Freshly Made Sketches. Our Queen of Layers, Narelle, is the hostess this week. 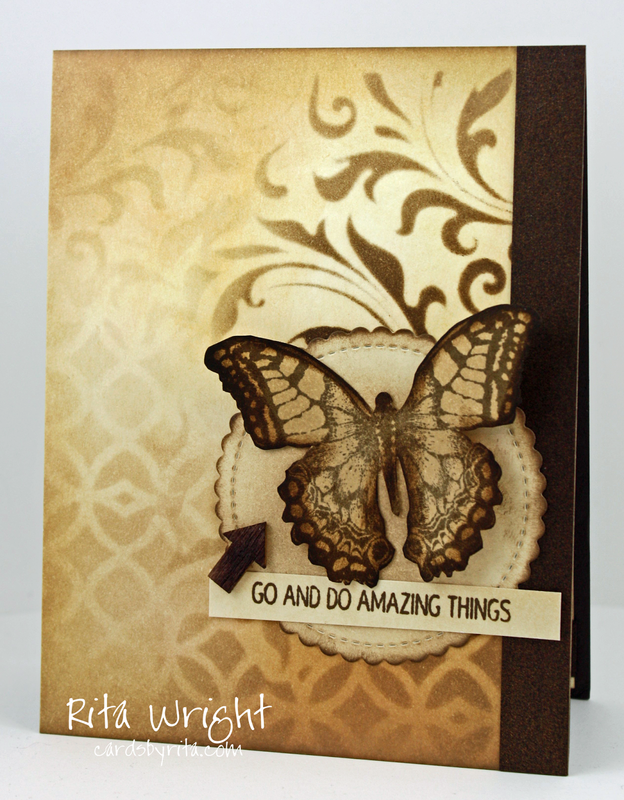 Her card is awesome and layered, so be sure you go check it out. :) The rest of the team made some pretty amazing cards too. I'm a bit in awe of their creativity this week! 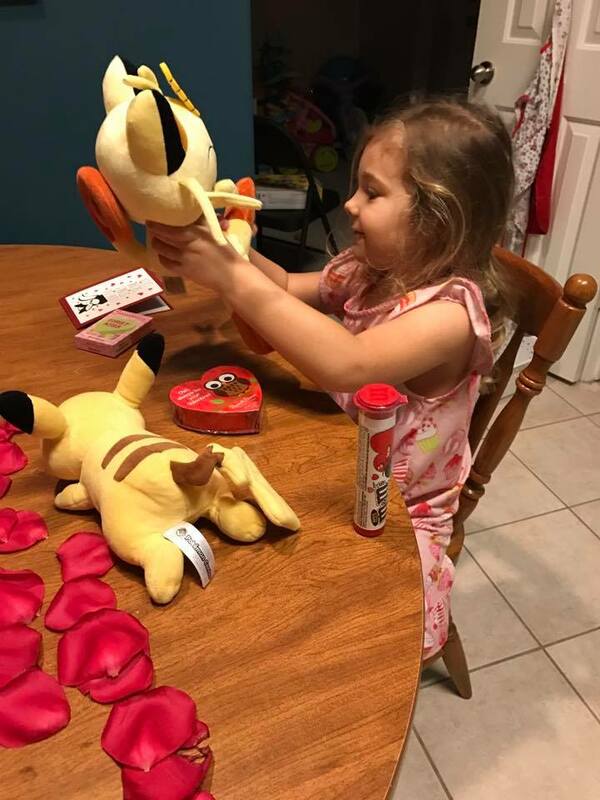 Laila was so excited about Valentine's Day. It's probably my second least favorite holiday, with Christmas being first, but I tried to make it fun for her today. Jason worked, so I took Laila to dinner as my valentine. She loved her little gifts and flowers, so it was a nice day for us both. Jason got me roses and a fancy coffee grinder. I love how yummy the coffee smells when it's freshly ground. I hope your day was nice as well. 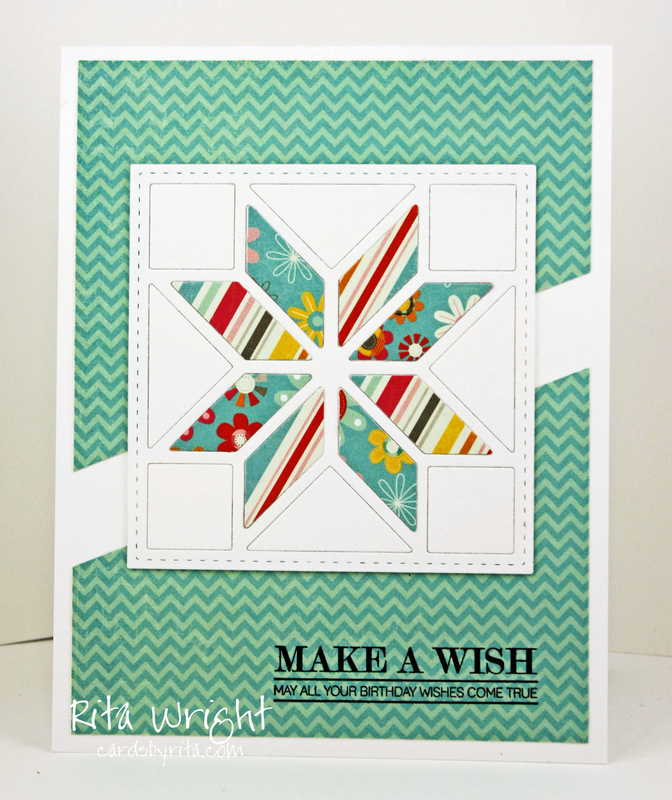 Labels: Crazy Mixed Up Love, Freshly Made Sketches, Stampin' Up! Can you believe it is almost Valentine's Day? It's not a holiday that I particularly like, but I wanted to make a couple of cute cards to send to friends. I loved the sketch at CAS(E) this Sketch, so I thought my little animals would work with it. My friend loves squirrels, so I need to find a couple more stamps so that she doesn't get sick of seeing this one. 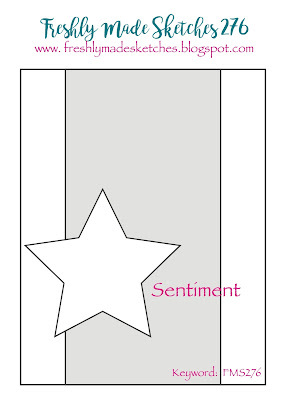 :) It's from The Greeting Farm, while the sentiment is a Stampin' Up! one. Isn't that a fun sketch? I always love to see the new ones from this challenge. They always get my brain thinking. 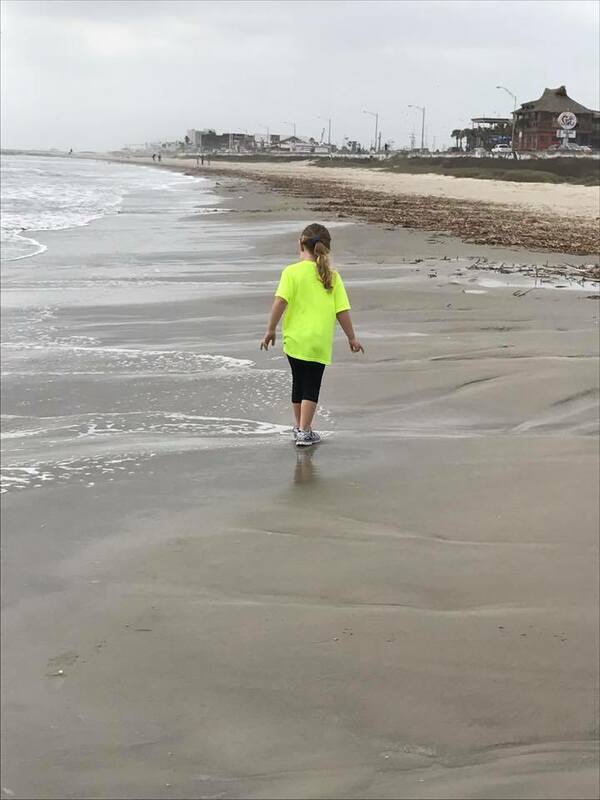 We had some nice not-too-hot weather yesterday, so we headed down to the beach. Laila had a blast! 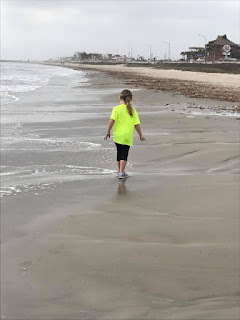 She was covered in sand and ruined her shoes, but she sure had fun doing it. Yesterday was one of the few family outings that I can remember where nobody got mad and there were no meltdowns. It was so wonderful. Trying to keep up the momentum again. I'm tired today, but I did finish this card for the new sketch at Mojo Monday. I used more patterned paper than I do these days, but it's fun to revisit your old style sometimes, right? :) I think the cat has a good message too. Hey! Did everyone survive that Super Bowl game? :) Sorry it's been a bit since I've posted. Laila got sick, passed it on to Jason, and I've been trying to hide from their germs for a week. I did stamp a bit last week, but I mailed them off before I took pictures. I made an effort to send as many cards as I could last week. I think I got around 20 out, so that's pretty good. 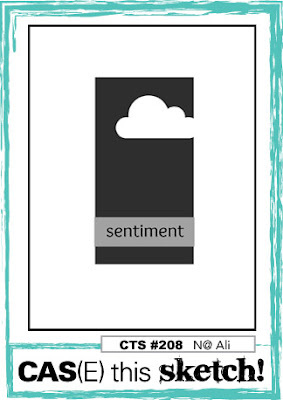 This card should be cute to send soon for Valentine's Day. 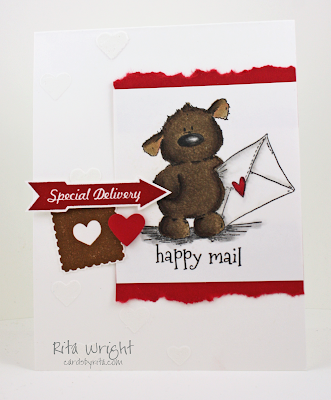 I used the new sketch at Fab Friday and this cute little bear from Stamping Bella. The arrow and stamp are from the Sent with Love set that Stampin' Up! put out a few years back. 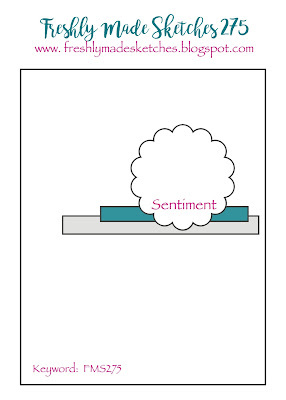 It's cute to decorate envelopes, but the elements can be used on cards too. Now I'm headed to bed to read for a bit. 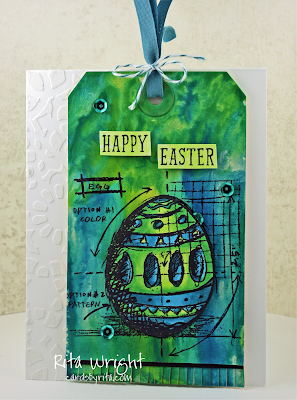 Part of the lack of stamping is due to reading. It seems like I get on a kick of one or the other. I have a huge list of books on my to-read list, so I need to try and fit it in more. Have you read anything good lately? My current book is Hillbilly Elegy and I'm speeding through it. I grew up not far from the area in Kentucky that he discusses, so I understand his family and their struggles. This was my poor pumpkin last week. She was just worn out. One night we ended up just getting up at 2:30 because she couldn't stop coughing. I am way too old for that, so we went to the doctor the next day to make sure it wasn't more than a cold. He gave her some better medicine to help the cough at night, so it's been some better. 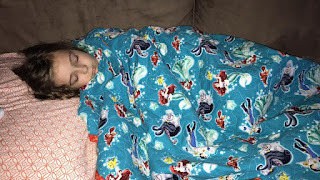 I think she managed to sleep until after 5 this morning before she woke us up and then went back to bed once she had water, a full humidifier, and more meds.